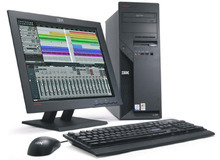 If you’re new to the world of digital audio workstations (DAWs), or just thinking of switching to a different one, this two-part article will help you decide which one is best suited for you. 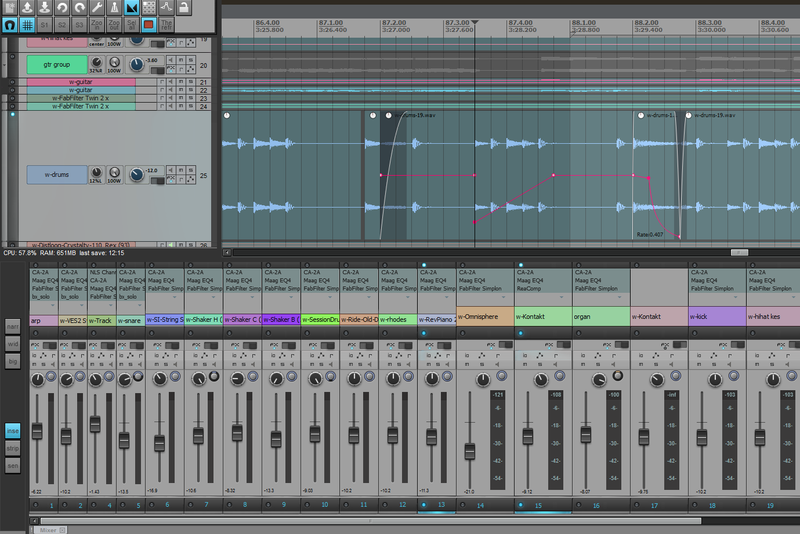 This is not a feature comparison of the DAWs on the market, but rather advice on how to evaluate them. The majority of DAWs on the market are cross-platform, that is, they run on both Windows and Mac. 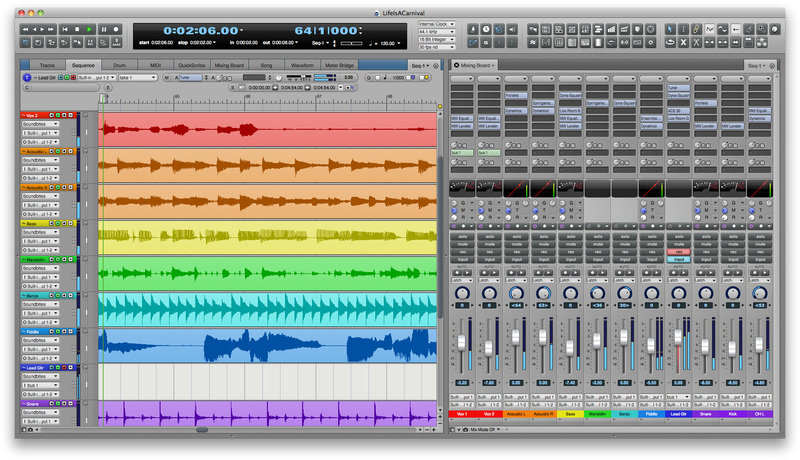 Some, however, such as Apple Logic Pro X, Cakewalk Sonar X3 and Acoustica Mixcraft 7 are specific to one platform. So clearly, the first thing you want to check when evaluating a DAW is whether it runs on your platform of choice. Next, make sure that your computer and operating system meet the software’s minimum requirements. Do you have enough RAM? Do you have a fast enough processor? You should be able to find that information on any DAW’s website. If you’re running a relatively recent computer, it shouldn’t be a problem, although it’s possible you’d have to add some RAM in some situations. If you have an older computer and are running a legacy operating system, some DAWs may not be compatible. You probably have read a lot about 64-bit operating systems and software eclipsing older 32-bit products in the latest generation of computers. In a nutshell, a 64-bit system is able to address more of your computer’s RAM at a time, allowing for more efficiency and speed for certain operations. If you have an older computer running an older operating system, you might not be able to take advantage of 64-bit software. You might have to upgrade your operating system if you want 64-bit operation, or use a 32-bit version of your DAW. Some DAWs can be launched in either 64-bit or 32-bit mode, and some, like Reaper, offer separate 32- and 64-bit versions. One more thing to remember: 32-bit plug-ins won’t run in a 64-bit system unless a “bridge” program is available for your DAW. 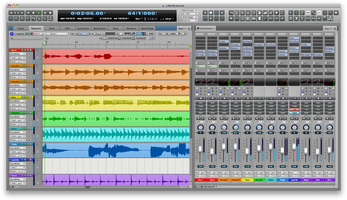 These are often third-party plug-ins, for example SoundRadix 32 Lives, an AU 32-to-64-bit utility. Unless you’re running huge projects with massive software instruments (such as those from some orchestral libraries) you won’t notice that big a difference if you’re not on a 64-bit system. That said, everything is going 64-bit, and eventually, you’ll be left out of a lot of new products if you stay too long in a 32-bit environment. Price is another factor that could steer you away from some DAWs. The price range is very big, from inexpensive like TSC Tracktion 5 ($59.95) and Mixcraft 7 ($89.95) to higher-end titles like MOTU Digital Performer ($499), Steinberg Cubase ($550) Avid Pro Tools 11 ($699), with many in between. Many DAWs offer tiered versions that go up in price based on how fully featured they are. Usually there’s an upgrade path between the tiers, so you can move up if you outgrow one of the lesser versions. You are an individual, using REAPER only for personal use. You are an individual or business, using REAPER for commercial use, and the yearly gross revenue does not exceed USD $20,000. You are an educational or non-profit organization. A DAW’s price is often indicative of its capabilities, but not always. Sometimes the price has more to do with what the market will bear for a particular target demographic that the software maker is trying to appeal to. If you’re looking to change DAWs, many software developers offer “competitive upgrades” (aka “competitive crossgrades"), in which they’ll give you a discount if you’re moving to their product from that of their rivals. 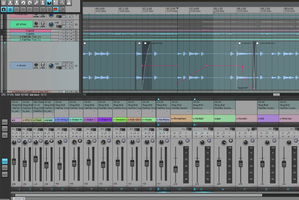 The DAW is the centerpiece of a software-based studio, and, as such, you spend an awful lot of time staring at it. As a result, if the look of the software’s interface turns you off, you may be less inspired to work in it. It sounds trivial, but it really isn’t. While there are other more important factors (many of which we’ll touch on later), it’s certainly helpful if you like the vibe of your software. Some DAWs, for instance MOTU Digital Performer 8, let you change the look of your DAW by choosing a different color scheme. In others, you’re pretty much stuck with the look, although you might get some background color choices. Copy protection is a necessary evil with software, as companies have to protect their products from digital theft. From the customer’s standpoint, not all copy protection is created equal. Some DAWs, such as Pro Tools and Cubase require hardware dongles (Pro Tools uses iLok and Cubase has its own USB e-licenser). Propellerhead Reason has a USB key, but also offers other methods of verification of your license that don't require the key to be connected. If your recording rig is a portable, laptop-based system, you might find a dongle to be inconvenient for a couple of reasons: First, most laptops don’t have a lot of USB ports compared to desktop machines, so the dongle will eat up a precious one, or force you to carry a hub around with you. What’s more, having a piece of plastic the size of a flash drive sticking out the side of your laptop makes it more likely that you’ll either lose or break the dongle. If you have a desktop-based system, a dongle isn’t nearly as onerous. But if you have both a desktop and laptop system and switch in between them, a dongle is a royal pain. Fortunately, most copy protection doesn’t require extra hardware, just some sort of activation when you first install it, based on a serial number or license key. Still, it’s always a good idea to find out the copy protection scheme that a DAW uses before you buy it, so you know what you’re getting into. In part 2, we’ll talk about what to look for in terms of features like plug-ins and loops, beat and pitch detection, video and notation support and more.